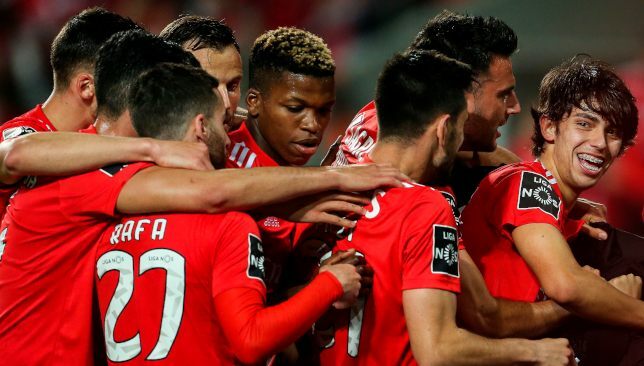 These pages are usually the preserve of Europe’s top five leagues – but a certain Benfica starlet is making so much noise that he is impossible to ignore. The aim of this column is to shed light on the players, aged 21 or under, who aspire to lead the game into a bold new era. Some 16 years ago, a post-David Beckham United sent scouts to Portugal searching for some inspiration. 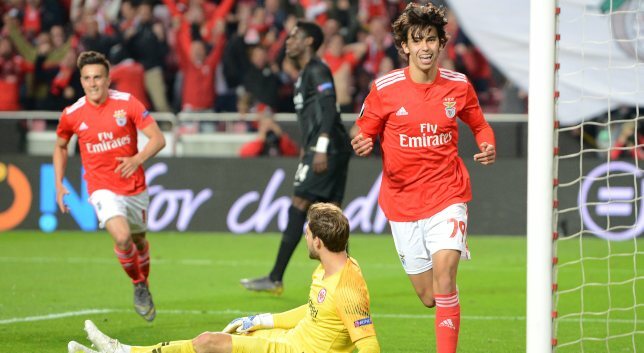 All reports suggest they are casting their eye that away again – and it’s easy to be besotted by Benfica’s Joao Felix. Anointing him the next Cristiano Ronaldo we are certainly not, but Felix is a true all-rounder from the same stock. The 19-year-old looks scrawny – just as CR7 did many moons ago – but is surprisingly hard to knock down. Indeed he knocked Vitoria flat with a lashed strike in the 4-2 victory that keeps Benfica’s necks level with Porto at the top of the Primeira Liga, and chipped in with another two assists in what is becoming a typically all-action display. The teen can play anywhere across the forward line, oozes confidence – averaging nearly four shots per league game since the start of February – and almost always justifies it, having come into the game off the back of a hat-trick against Frankfurt in the Europa League quarter-final first leg. It’s no wonder half the world is interested in him. If you’re United, who do you attempt to sign – Felix or Dortmund’s Jadon Sancho? The Portuguese undoubtedly belongs in the same tier of talent. Gerard Pique is beginning to feel his age. Samuel Umtiti is feeling pain in his knees. But don’t worry, Barca fans – it looks like the club hierarchy has installed a successful succession plan in the centre of defence. La Liga basement boys Huesca it may only have been, and a stalemate at that, but Todibo was remarkably assured on his La Liga debut he had waited patiently for since signing in January from Toulouse. He made seven successful tackles in total and was perfection personified in denying Huesca attacker Chimy a clear run on goal with a sliding tackle. Promisingly, the Frenchman also had no qualms adopting to the Barca way, barely misplacing a pass alongside Umtiti and the similarly impressive new boy, Jeison Murillo, in a three-man defence. Barca have needed to replenish their stocks for a while, and 19-year-old Todibo could prove the ideal tonic. This boy may as well be written into this column in permanent marker. Sancho hit a first-half double that kept Dortmund on pace behind Bayern Munich in the Bundesliga after the humbling at their hands last week. Sancho stormed into the box to produce a controlled finish from Mario Gotze’s cross and, seven minutes later, ghosted in there to notch his second via a deflection. The Mainz defending was abominable but the England whizkid seemingly has a knack for turning invisible. That’s quite a skill allied to such blinding pace. According to whoscored.com Sancho also contributed four ‘key’ passes. Only Gotze (3) notched more than one for Dortmund. I’ll leave you to think about how good he is. So far Juan Foyth’s Tottenham career has been a mixed bag, but he pulled a special performance out of it over the weekend. Yes, it’s Huddersfield – England’s Huesca – but the relegated northerners showed their fair share of pluck and Spurs’ young Argentine rose to the occasion. It wasn’t so much his effortless defending, but how he adapted to the game’s circumstances. Spurs are a far superior outfit and Foyth had a swagger about him that suggested he knew it – risk-taking high up the pitch, tackling, dribbling and playing intelligent balls. Lucas Moura grabbed his second goal because the 21-year-old was doing exactly that, winning the ball at halfway on the byline, of all places, before playing inside to Moussa Sissoko who stormed up the pitch to turn provider. Similar to Barca’s situation, Jan Vertonghen won’t be around forever and Toby Alderweireld’s future is in question. In Foyth and Davinson Sanchez, they have two young men who are not just talented, but growing in stature. The least celebrated name on this list, but near enough the same calibre of player. David Brooks has arguably been the signing of the season in the Premier League, despite a couple of recently disappointing outings, and that he plays for little old Bournemouth should not be held against him. The Cherries, on their day, are one of the most exciting outfits in England’s top tier and the Welshman has only cranked the thrills up another level. Nominally a right-sided midfielder, Brooks cuts in not only with speed but with almost prescient vision. Look at how fast he played the ball into the box to spark Bournemouth’s first against sorry Brighton. How he saw space developing and nipped the ball off Josh King’s feet before driving into the area for his goal. How his goose feather lay-off to Callum Wilson handed Bournemouth their fourth. The 21-year-old is in the perfect place to develop – though the top six may come calling before long. Juventus could take advantage of Samuel Umtiti’s uncertainty at Barcelona if they snap up coveted Ajax centre-back Mattijs de Ligt, according to reports. 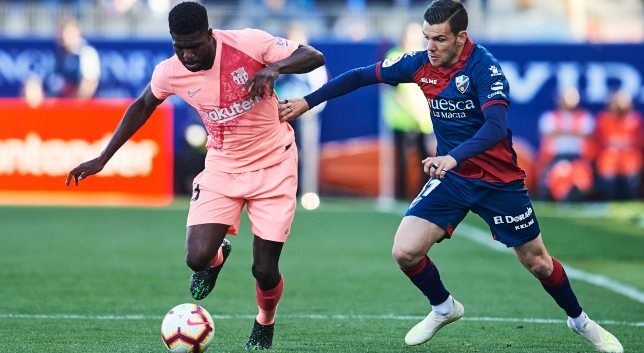 Umtiti, 25, has endured a frustrating 2018/19. The World Cup 2018 winner with France faced a five-month spell out because of a knee problem and then lost his spot in the starting XI to uncapped countryman Clement Lenglet. This situation could be further complicated this summer if, as expected, the La Liga champions win the €60 million battle to sign De Ligt. Rai Sport have declared that Juve sporting director Fabio Paratici is contemplating an approach for the ex-Lyon defender. Umtiti signed a signed a contract extension in June 2018 until 2023 that contained a €500m release clause, plus a significant salary hike. Arsenal boss Unai Emery has also expressed an interest in signing him if a sale is countenanced by Barca during pre-season. The Frenchman has scored twice in 95 appearances for Barca since a €25m move from Lyon in June 2016.